So I am intrigued by this stuff and want to let you know about it. 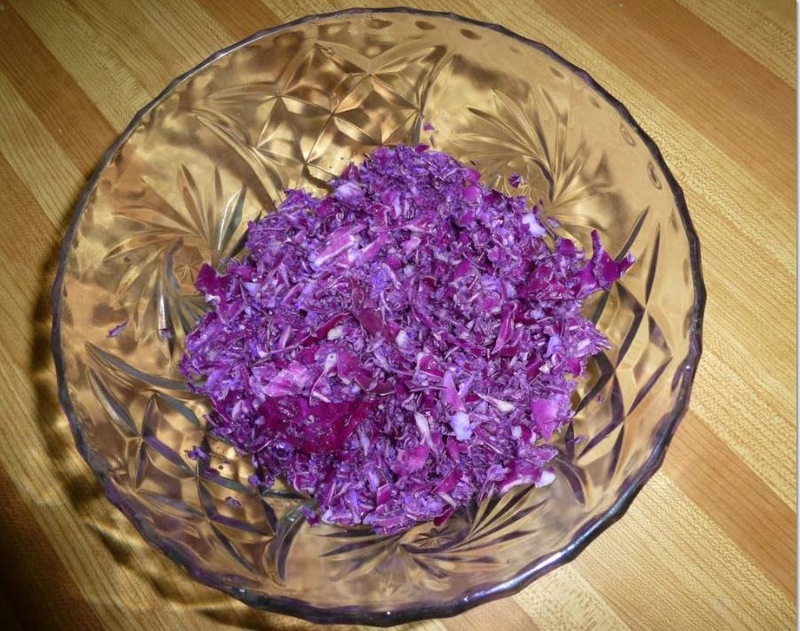 I saw on the DVD that was sent to me with my Vitamix blender a way to make coleslaw. Quickly. And I do mean quickly. 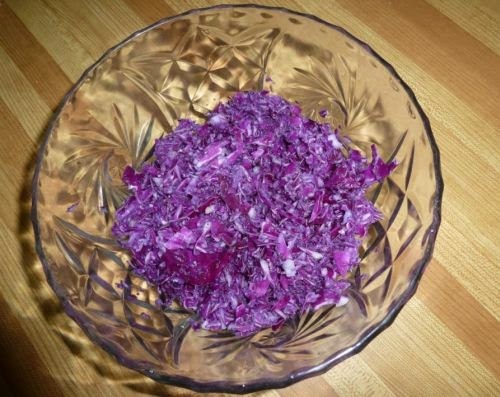 There are a variety of ways to deal with the cabbage for making coleslaw. Obviously, cutting it is one way. The other is to use one of these stainless steel graters. Of course, the problem with the latter is when one gets too close to the grater with the cabbage one might scrape a finger or knuckle or two along the way. That has happened to me before when I tried making it. I always thought that wearing a bandage is part of the coleslaw making procedure! So imagine what my reaction was when I saw the DVD. I'll post it below. All that was necessary to do was to cut the cabbage into some chunks, put them into the Vitamix Blender, fill the blender with water until the chunks floated and then turn on the blender for one second. That is right: ONE SECOND. Then, drain the water (perhaps using a salad spinner to make the cabbage dry) add your salad dressing and perhaps some other veggies and it's done. Cleaning is a snap as well just by adding some water to the blender with a couple of drops of soap. posted by JoeBlog at 8:06 a.m.